Annual financial reports are necessary to achieve transparency and accountability to donors and the public and should be factual and accurate in all material respects. The Audit and Finance Committee of the Board of Directors of Chatham-Kent Health Alliance Foundation (CKHAF) is responsible for monitoring and reporting to the Board of Directors with respect to all matters pertaining to the financial integrity of the Foundation. As CKHAF did not exist until 2019, an annual report and financial statements are not available as of yet. However, the annual report and financial statements of one of its predecessor organizations, the Foundation of CKHA, are available by contacting CKHAF directly or by following the links below. This website will be updated with CKHAF Annual Report and Financial Statements as soon as they are available. 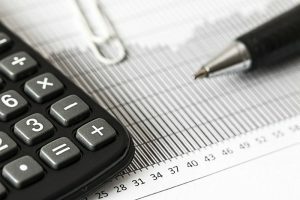 The financial information included in the Annual Report and Financial Statements of the Foundation of Chatham-Kent Health Alliance have been prepared by management in accordance with Canadian Generally Accepted Accounting Principles, and are audited and signed by an independent accounting firm. Gifts can include cash, cheques, credit cards, securities, gifts-in-kind, and planned gifts such as bequests, life insurance and annuities. Gift acceptance policies have been prepared by the Foundation and are in keeping with accepted accounting principles and Revenue Canada guidelines. In order to be receipted, all arrangements for acceptance of gifts-in-kind must be made through the Foundation in accordance with Canada Revenue Agency guidelines.